We did it. We ran our very first trail race. And man, was it challenging. 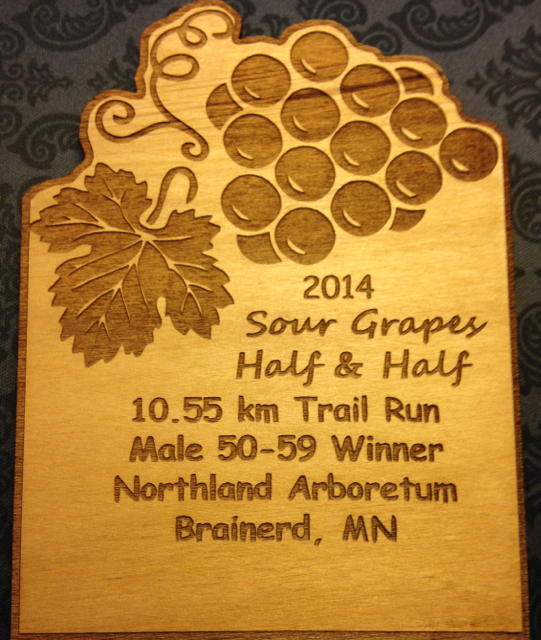 We ran the Sour Grapes Half & Half Trail Race in Brainerd, MN. 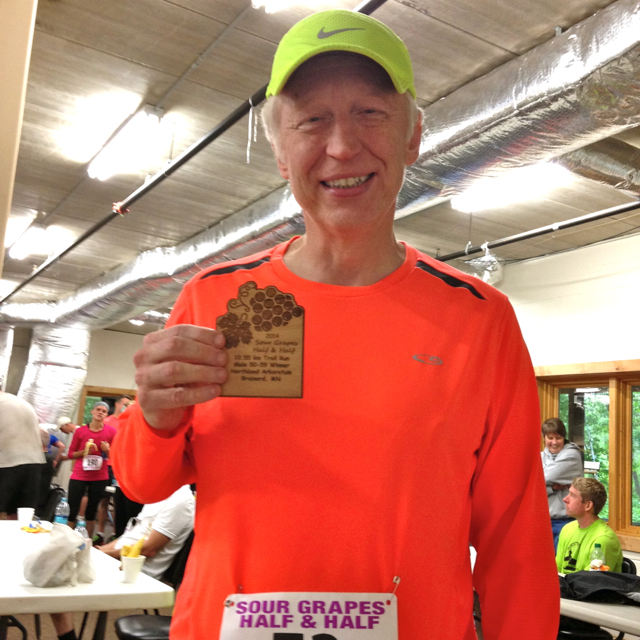 The race was at the Northland Arboretum, which is also where the funds from the race went to. We picked this race for a couple of reasons. 1. Because it would be challenge. Neither of us have run a trail race before. 2. Brainerd is special to us because this is where “we” began, about 10 years ago. Without getting into too many details that would bore you all to death, some mutual friends had a house on a lake in Brainerd and we all would go up there on the weekends. And this is the where the story of “us” began. Although we, my hubby and I, knew each other long before we started dating! We were very close friends. And that’s all there really is to tell. The rest is history. 1. Don’t break or sprain an ankle. 2. Don’t get any wood ticks. 3. Don’t break or sprain an ankle. 4. 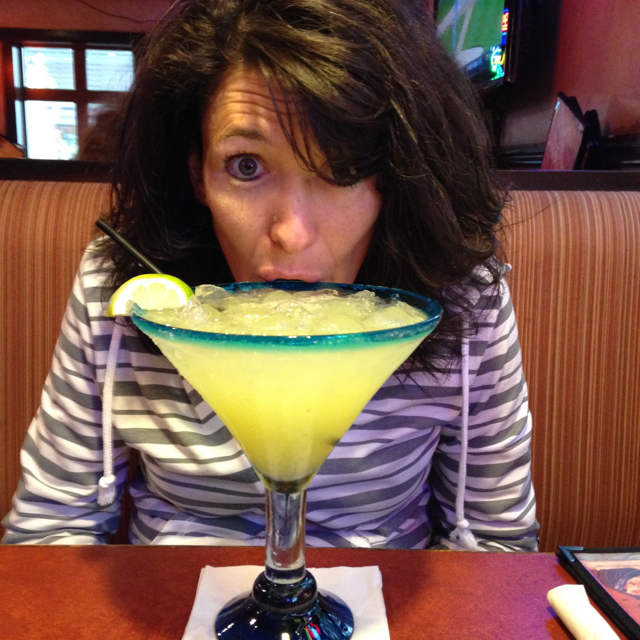 Don’t worry about your time…but finish in under an hour and 20 minutes! 5. Don’t break or sprain an ankle. 7. Don’t break or sprain an ankle. 8. Take in your surroundings. 9. And lastly, don’t break or sprain an ankle. Thank God we were only doing half of the half and not the full half! I couldn’t imagine running that thing twice! 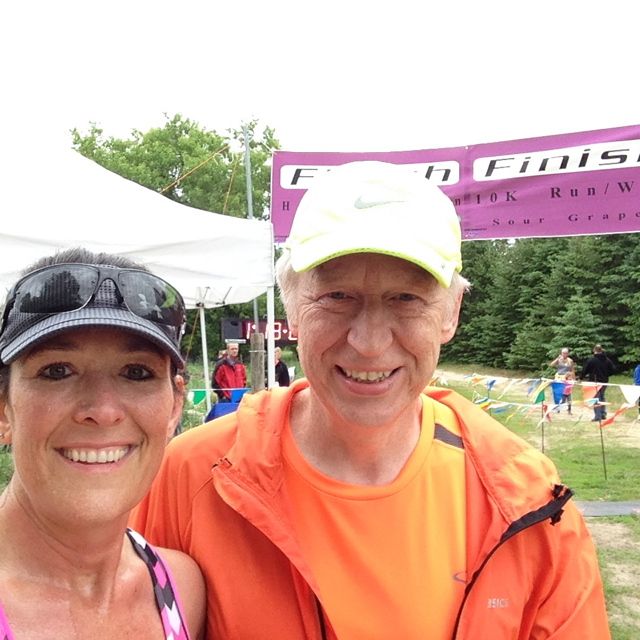 Here we are at the end of the race – yes, both of us still smiling. Sweaty, but smiling! And, there were no injuries reported – other than each of us got a blister! I guess I should have added that to my list. I got to check everything else off the list as well. No wood ticks. (THANK GOD!) I finished in under an hour and 20 minutes. I had fun. LOTS of fun. And I took in my surroundings. All my surroundings – the grass, the sand (which makes you feel like you are running in slow motion), the gravel, the mud, the wood chips, the hills – oh, the hills! – and everything else. The trail was definitely beautiful! I have to share with you a little about how I felt while running my first-ever trail race. It was weird, really. As I was trudging along the trail (in a much slower pace than usual), it was like this strange sensation came over me. I kind of felt like a warrior or something similar, although I can’t come up with the right word. I felt more competitive than normal. But competitive against nature. Not against the other runners. It was like this fierceness came over me. Not that it made me run faster. It didn’t. I ran slower than normal. It was definitely, the stupid, but at the same time, pretty cool, terrain. I felt rugged. More determined. I felt that I wasn’t “just” a runner, I was a contender, a challenger in and against nature. Sounds weird, I know. And it’s hard to explain. But it was different. Way different than running a “normal” race. So, there lots of little mini hills during this race, along with a couple of bigger ones. 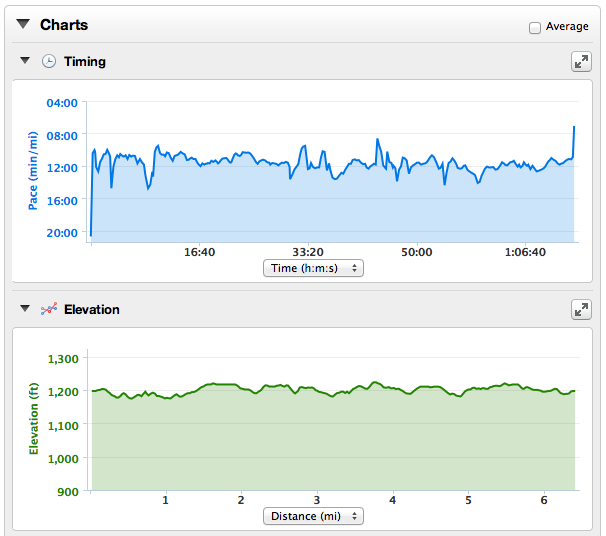 Although it doesn’t really show the elevation accurately in mine, the next pic shows the elevation, along with my pace, according to the GPS from my Garmin watch. Kind of cool to look at, I guess. The timing, to me, looks like what the elevation felt liked! Which, I guess, is a good indication of how much I slowed down when I was trying to trudge my way up the hills, sometimes, through the sand! Hills and sand do not make a good combination in my book! Regardless of my time, which was about 7-10 minutes slower than when I run a “normal” race, I still had an amazing time and will more than likely do another trail run in the future. And I am pretty sure my husband feels the same way! Congrats to your husband! And there really is nothing like racing on a trail. Glad you didn’t sprain an ankle and way to celebrate!! I just don’t understand those people who want a beer afterward..